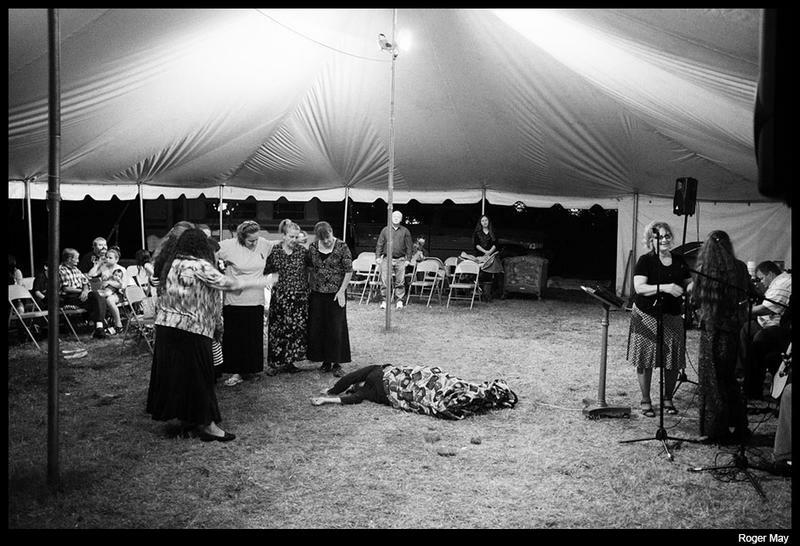 Ladies surround a sister who is slain in the spirit during a tent revival service in Goody, Kentucky, 19 July 2014. Amazing Grace is an old American hymn that everybody recognizes. It’s a song that even moves people who have no feeling for the spiritual and religious. The song transcended the church long ago and became a folk song and an anthem for civil rights. But its origins are unexpected and complicated. In this episode, we hear a story by Trey Kay that originally aired on Studio 360 with Kurt Andersen from PRI and WNYC. High-energy Christian services held outside are typically called tent revivals today. At the celebrations of faith, you’ll still hear upbeat, gospel hymns, the kind that inspired many American rock-n-roll artists. And you’ll still see people dancing and clapping on the downbeat of the rhythms. To document some of the remaining services, photographer Roger May started a project called, “Glory” a few years ago. Roger May is the director of the Appalachian Southern Folklife Center in Pipestem, W.Va. He’s also the director of the project “Looking at Appalachia”. We’ll also hear a story by With Good Reason about Rosetta Tharpe, who in the 1930s and ’40s became the first superstar of gospel music. Along with her powerful, passionate voice, her rhythmic style and charisma captivated an entire generation of young rock and rollers. This week we also hear the final installment of Colt Brogan’s Struggle to Stay story. Last time we heard from Colt, he was struggling to juggle work and school, and on top of all this, his mom’s house burned. Nearly everything she owned was destroyed. But as he told Roxy Todd, things have started to look up lately. Music in this episode was provided by Marisa Anderson, Dinosaur Burps and Sister Rosetta Tharpe. Roxy Todd is our producer. Patrick Stephens is our audio mixer. Jesse Wright is our executive producer. He also edited our show this week. We’d love to hear from you. You can e-mail us at feedback@wvpublic.org. Find us on Twitter @InAppalachia or @JessicaYLilly. 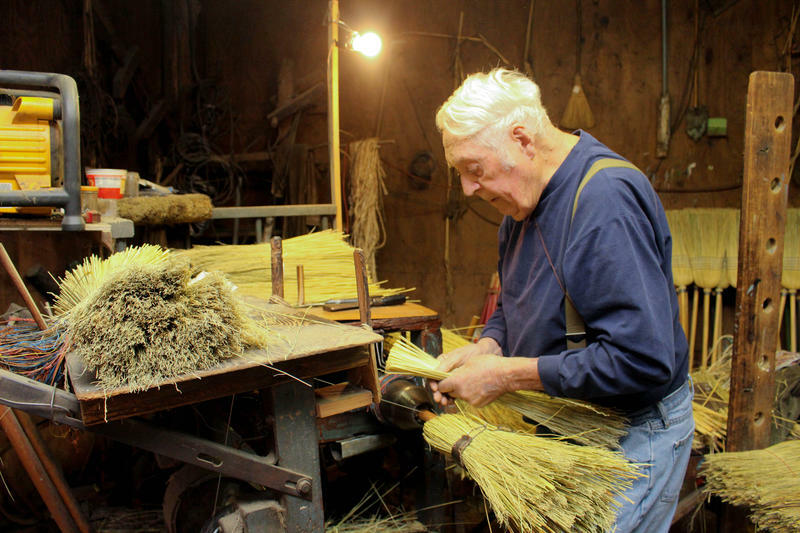 Inside Appalachian Storytelling: What is Your Struggle to Stay Story? Here in Appalachia, thousands of young people are leaving each year, moving from their hometowns to find opportunities elsewhere. In this episode, you will hear part of Colt Brogan’s Struggle to Stay in Appalachia. It’s part of a series on Inside Appalachia called, “The Struggle to Stay.” This decision is different for each of us. While academic studies might provide a generalized view, the complexities are found in the individual journey as we try to find a place where we belong.